Get ready for spring… it’s time to brighten up your wardrobe with sandals! We asked our women’s merchandiser for the hot new trends, and she was thrilled to share the best looks of the season. Our Skechers ’16 sandal collection covers the globe’s hottest trends, and offers a nice all-in-one assortment for every style and activity. 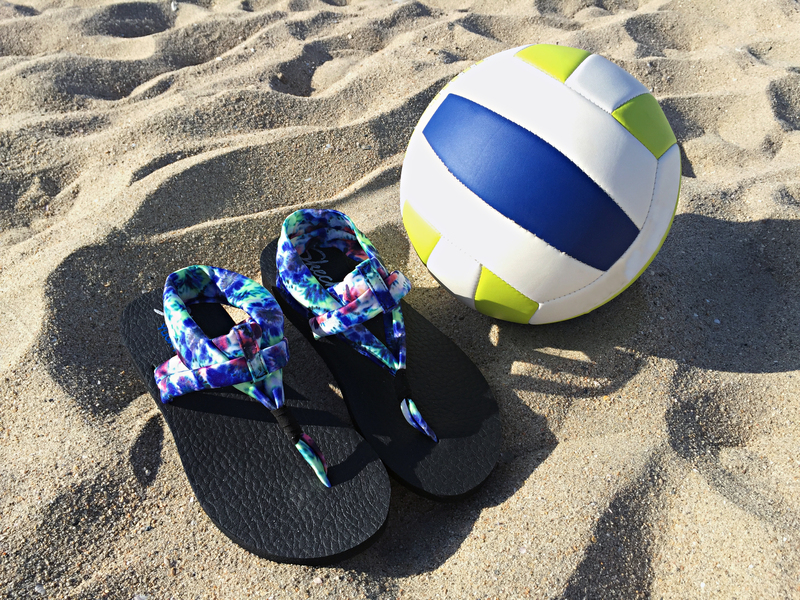 Whether your thing is wedges, flip-flops or all comfort, all the time, check out the latest here. Wedges are looking better than ever. With stylish materials like cork, lace and rope detailing, we can’t wait for them to arrive! 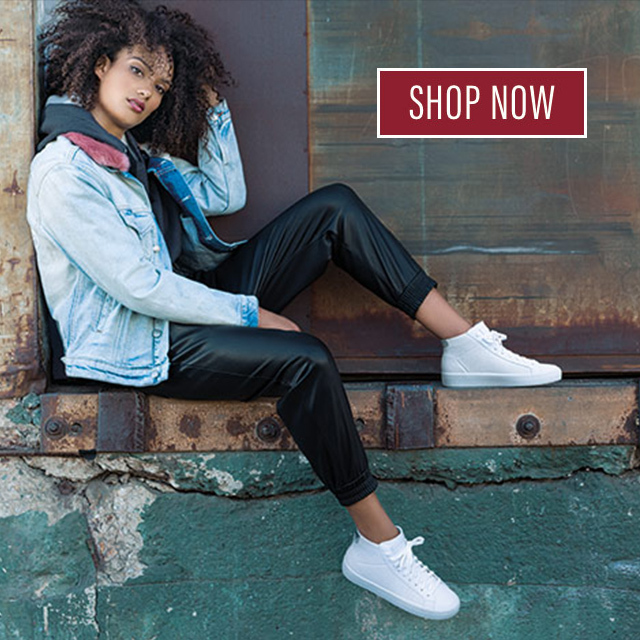 Here are some great new options from our fashion lines. 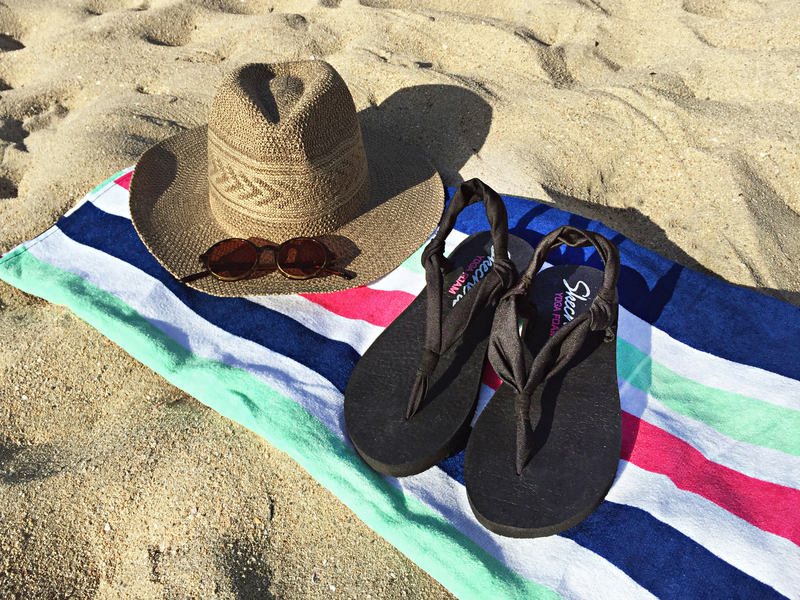 This beautiful wedge will have people asking, “Where did you get those sandals?” With lace detailing and memory foam, you won’t want to take them off. Take your pick of the bunch. Shown in Natural, also available in Black and Brown. A dressed-up sandal with rhinestone embellishments and yoga foam that hugs and comforts your feet with every step you take. Shown in Black Silver, also available in Navy, Taupe and White. Casual sandals have taken on a new meaning this year. 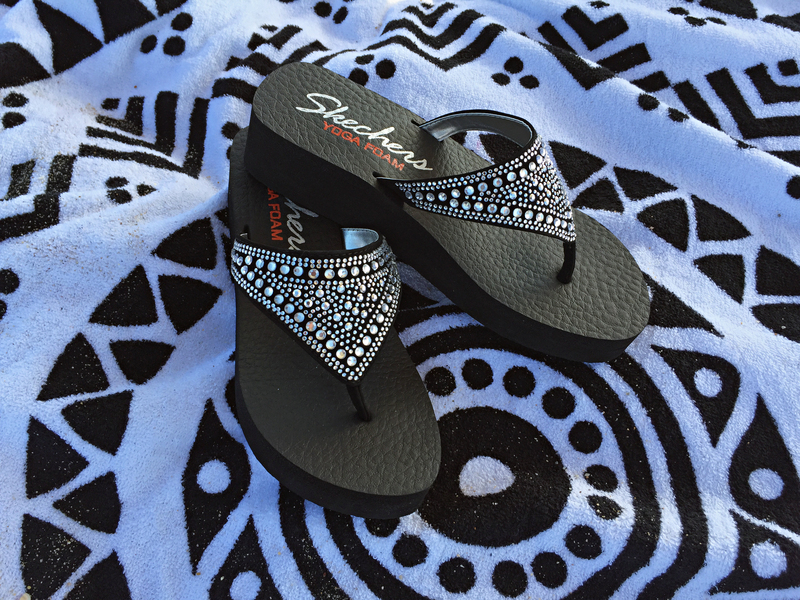 Skechers has designs for everyone from the beach girl to the fashion diva! This yoga-inspired style was a huge hit last year. Must-have shades like Black (shown), Navy and Raspberry are perfect for coordinating with any outfit and can take you from the beach and pool to town. For 2016, we’re adding to this yoga-inspired trend with multi-hued designs, including my personal favorite in blue tie dye jersey (shown above, at select Skechers retail stores). These days, there’s no reason why fashion needs to be compromised for the sake of comfort. 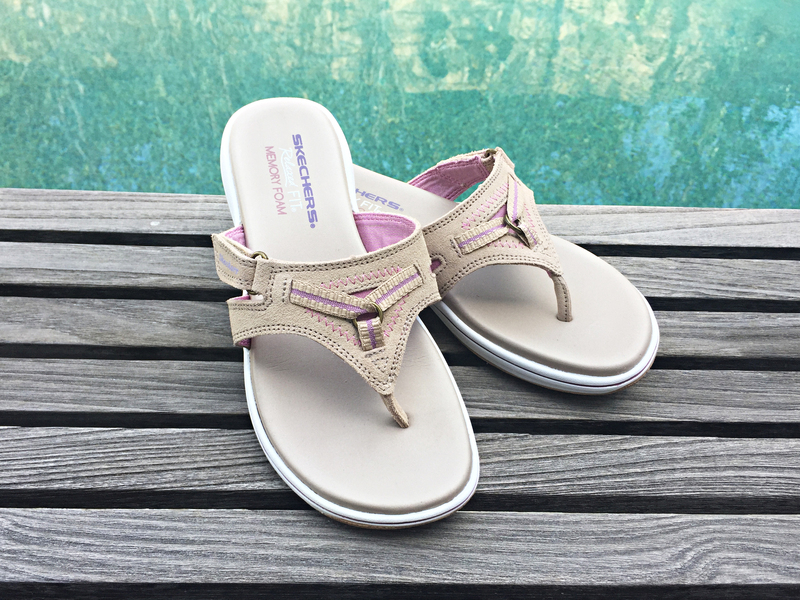 We’ve given the basic comfort sandal a stylish, fun update, perfect for cooling your heels all day long. This little lovely has so many reasons to buy it. It’s got roomy Relaxed Fit and Skechers Memory Foam design for ultimate comfort, and it’s an adjustable thong, which is a nice feature for hot summer days. Shown in Dark Natural, also available in Black and Navy. This reggae has an ethnic printed T-strap and is in the richest colors. I love the Chocolate Brown, but if you like color, take a look at the Navy, Black, Taupe and Coral (shown above). All of these are gorgeous! 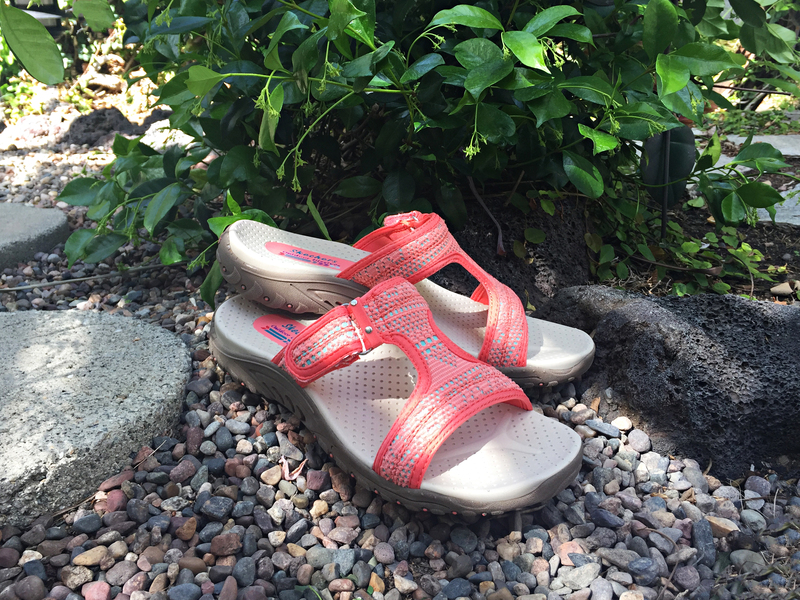 What Skechers sandal styles are you going to rock this season? Tell us here! The BEST!!!! Shoes I by!!!! PLEASE, PLEASE PLEASE bring back cute Mary janes that can be worn as casual dressy. I loved the variety of colors (pinks, blues etc.) And styles! I loved them so much!! Also I have not seen cute summer wedge thong sandals. Thank you so much!